This is a great one for those that think they’ve moved beyond simply strumming through 5 or 6 chords. What I like about this arrangement is that there is still a lot of strumming going on and the chords aren’t particularly difficult. In fact, even the timing is pretty kind as it’s mostly all quarter and eighth notes. That said, it’s still going to take a little practice. The real challenge here comes from getting the melody out nice and clear whilst keeping the strumming moving steadily along. I’d suggest playing it really slowly to help with that. I’m a big fan of playing with a metronome (Google has a useful metronome) or alternatively you could slow down Mike’s video (click on the cog icon on the video above and change the speed to 0.5) to help you get to grips with it. 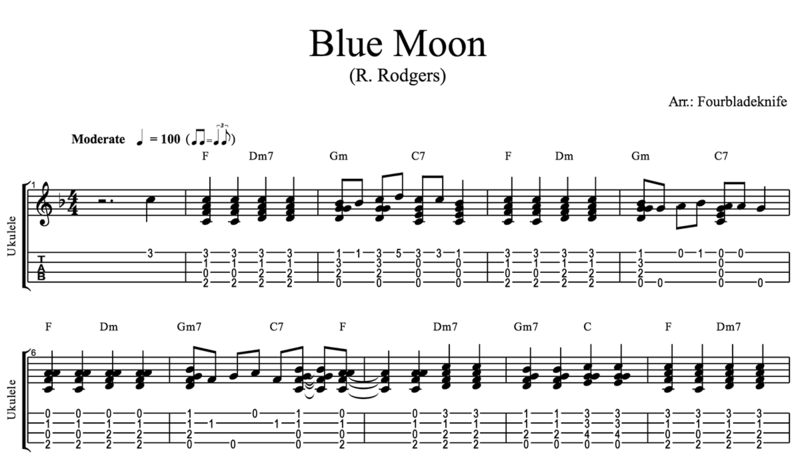 Here’s an example of the tab from Mike’s arrangement. To get the full tab you can hit the button below. 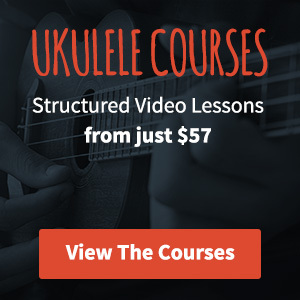 If you need some help understanding what this means check out my page on reading ukulele tab. You can check out more of Mike’s arrangements over on his YouTube channel. Yep, American ones in London. Ow I’m already having trouble with the first chord. No way of putting down the ring finger on the 3rd fret without everything else going wonky. A good start I must say! Yeah I can give you a tip – use your pinkie on the 3rd fret of the A string. That should help! I love that, amazing song ! Definitely a goal for this ‘new-ish’ uke lover! So wonderful to find you, I just love you and can’t wait to work on the finger style….thanks so much! What a beautiful arrangement! Thank you for sharing! I’m so happy i found your website it helps me a lot with my new ukulele. But I’m struggling with the strumming, i played the classical guitar before but I don’t get how Mike plays it in the video. 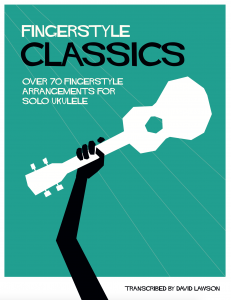 Is it a strumming pattern which i can find the beginners pack?